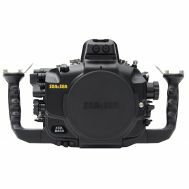 The Sea & Sea MDX-80D Underwater Housing for the Canon EOS 80D DSLR has many new features. Important controls such as ISO, AF-ON and Start-Stop may be activated and deactivated more easily due to a new lever activation design. The Multi-Controller is located on the right side of the rear case and buttons have been “gapped” for easy operation. Main dials are equipped with a damper (spring). 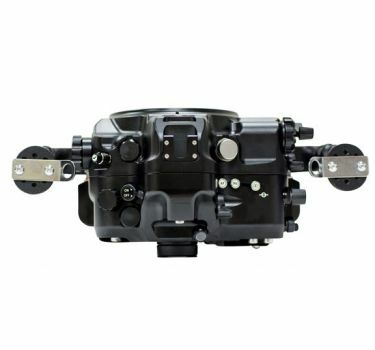 The main dial, quick control dial, diopter adjustment dial and live view/movie lever have a spring-loaded damper to provide secure operation. (Camera controls will not slip because of the dampers). 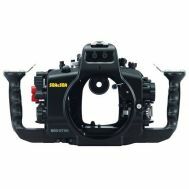 This housing is also equipped with movable Focus/Zoom gear. 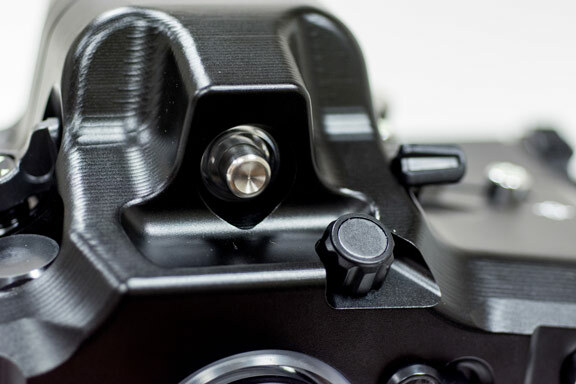 When the focus/zoom dial is pulled out, the gear inside the housing will move outward allowing for lenses with large diameters to be easily mounted. There is now a 3-step shutter sensitivity adjustment. Sea & Sea has included luminescent stickers on all major controls, including levers and buttons, that will glow in darker conditions. 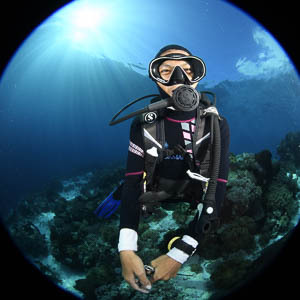 This allows for underwater photographers to easily change between different settings quickly. 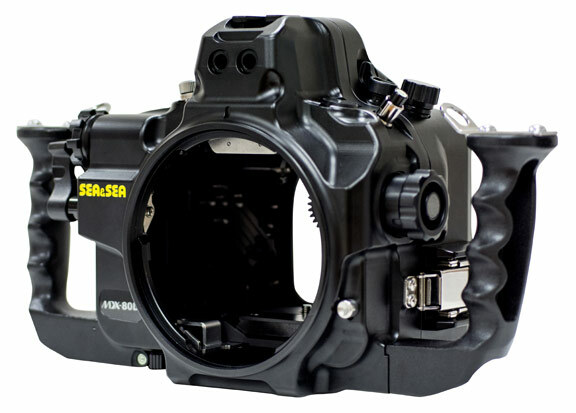 A new diopter adjustment dial, allows the camera’s diopter adjustment dial be operated from the housing. This feature is effective when two or more people (with different eyesight) use the housing. Controls and buttons now have drain channels to allow for easier drying of the housing. The weight for the MDX-80D housing is lighter due to a better machining method. 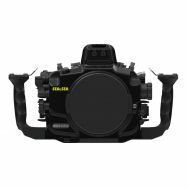 The MDX-80D has three accessory ports. One is designed for N-type strobe connector and the other two are designed for HDMI output / The Leak Sentinel (vacuum system to be released soon). It also has two Fiber-optic Cable Sockets with room for an optional electrical sync bulkhead. Using Fiber-optic cables when connecting external strobes. When using Fiber-optic cables, we recommend using Sea & Sea Fiber Optic Cables II (SS-50128) and the MDX Internal YS Converter C2 (SS-50142). 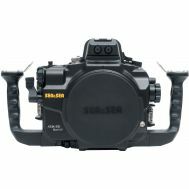 Having the Converter will allow you to use TTL through Fiber Optic cables to Sea & Sea strobes, such as the YS-D2. 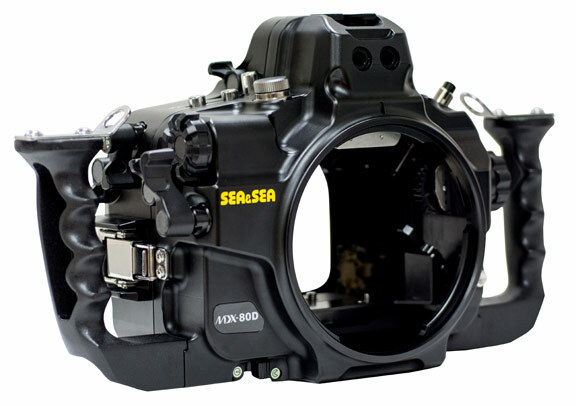 The Housing's port lock and lens release can be activated from the outside of the housing. 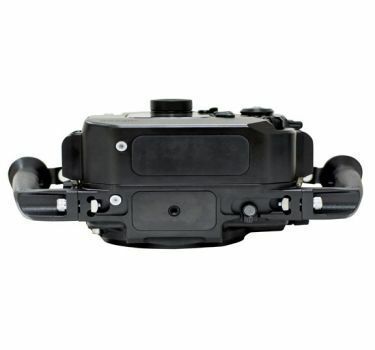 The housing is equipped with two sacrificial zinc diodes to avoid electrolysis damage. 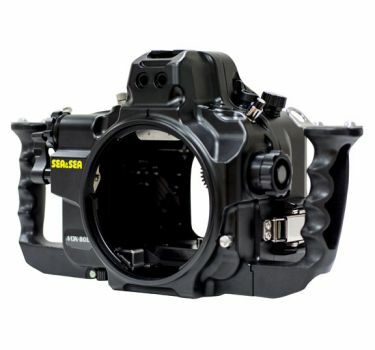 The MDX-80D housing is compatible with both the VF180 1.2x and VF45 1.2x viewfinders. 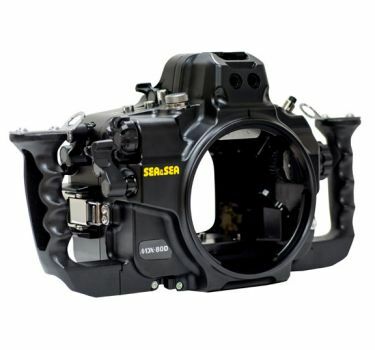 By attaching the VF180 (#46112) or the VF45 prism viewfinders (#46111) (magnification ratio of 1.2x) to the housing, the magnification increases by 1.2x and entire field of view can be seen at the same time. Converts the camera’s TTL signal to a light signal. with Fiber-Optic Cable II (Not included). to better fit your hand. Easily view controls in low light conditions. for quick and easy lens swap.